Sparkling Water, PySparkling and RSparkling can be used on top of Databricks Azure Cluster. This tutorial is the Scala Sparkling Water. For Pysparkling, please visit PySparkling on Databricks Azure Cluster and for RSparkling, please visit RSparkling on Databricks Azure Cluster. In order to connect to Databricks from Azure, please make sure you have created user inside Azure Active Directory and using that user for the Databricks Login. In order to create the library in Databricks, go to Libraries, select Upload Java/Scala JAR and upload the downloaded assembly jar. If you download the official distribution, the assembly jar is located in assembly/build/libs directory. The assembly Jar can be downloaded from our official download page. 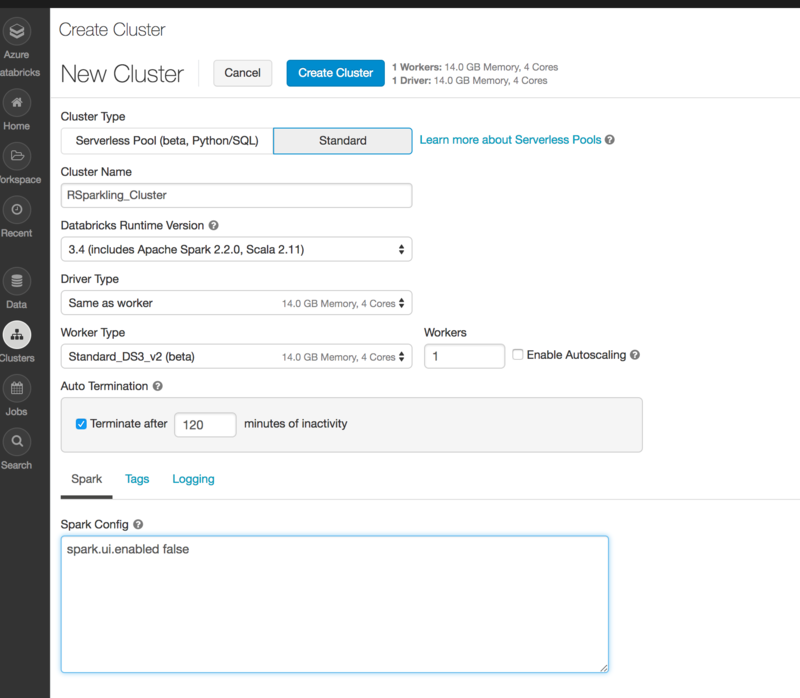 You can configure each cluster manually and select which libraries should be attached or you can configure the library to be attached to all future clusters. It is advised to restart the cluster in case you attached the library to already running cluster to ensure the clean environment. It is advised to always use the latest Sparkling Water and Spark version for the given Spark major version. Please note that accessing H2O Flow is not currently supported on Azure Databricks.